If you meet the requirements, you can already start drawing! 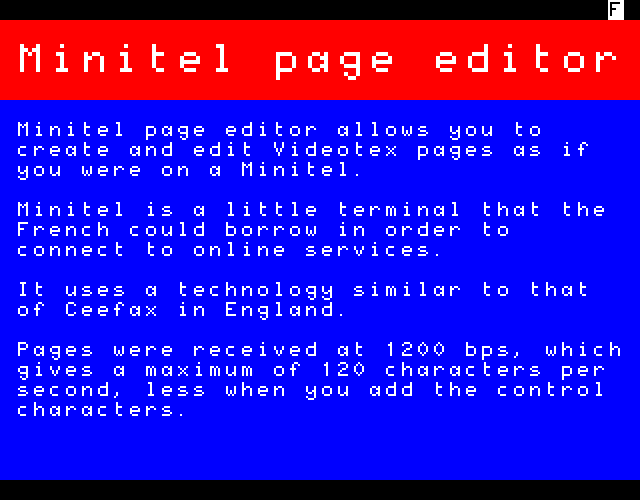 Minitel page editor comes with a viewer so that you can share your creations with the world. It can be found under the "file" tab.